In the decades that followed the Institute’s move away from training its own nurses, the focus was on the organisation’s charitable aims. It focused on supporting nurse education and leadership as well as championing the role of community nursing. 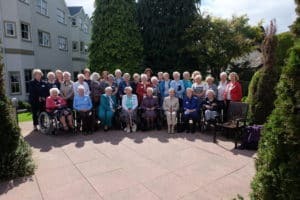 Work continued in looking after the retired Queen’s Nurses, with around 400 receiving fellowship and welfare support. In the early part of the twentieth century, QNIS activity centred on the promotion of excellence in community nursing at national, health board and local level. This activity involved two major strands of work; professional development and practice innovation and research. 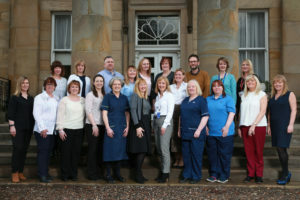 However, a vision to create a social movement of nurses who are catalysts for change in communities across Scotland was evolving and by 2015 moves were under way to investigate the reintroduction of the Queen’s Nurse title. The Queen’s Nursing Institute (QNI) – which represents Queen’s Nurses in the rest of the UK – had successfully reintroduced the title a decade earlier through open application. The Institute, however, decided to adopt a different model using a nomination process. 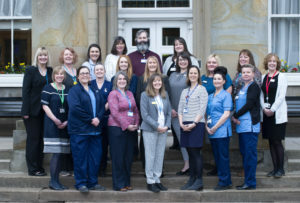 Following collaborative work with nursing leaders from across Scotland, a Queen’s Nurse excellence profile was drawn up – shaping what a modern Queen’s Nurse would look like. In 2017, 20 outstanding community nurses were selected to take part in a development programme w hich saw them become the first Queen’s Nurses to be appointed for almost 50 years. 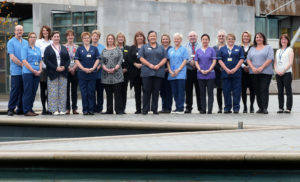 Now, the Queen’s Nurse title is awarded to twenty selected clinical leaders each year. They must be community-based registered nurses, midwives or health visitors and they receive the title having completed a nine-month development programme. 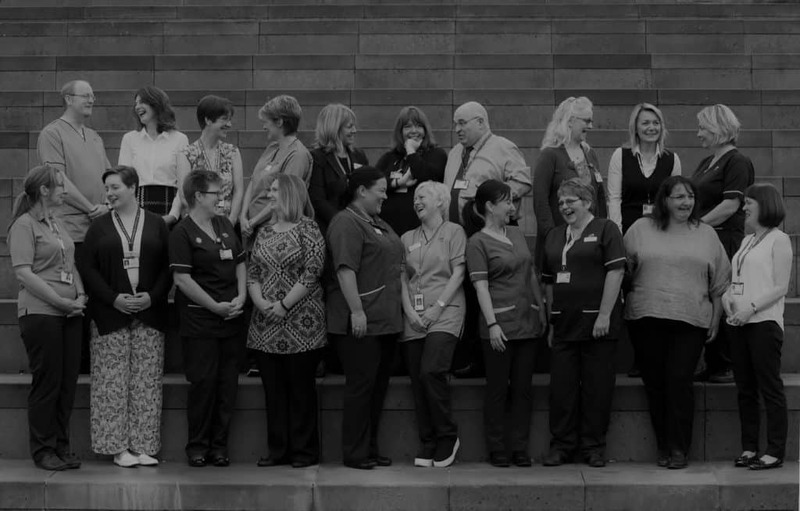 There are 41 new Queen’s Nurses working in communities across Scotland, representing a wonderfully diverse range of clinical specialities. You can read more about the first cohort here. For information on the 2018 Queen’s Nurses, follow this link. A further 20 are currently undertaking the programme, due to receive their title in December 2019.